Learn how to ace the SAT with our founder Huzefa Kapadia, who scored a perfect 800 on the math section of the SAT in 2016, and is the creator of the top selling SAT Math Video Course on Udemy, Power 800 SAT Math. When it comes to the math section of the SAT, Huzefa is the ultimate guide with unparalleled expertise. Not only did he score a perfect 800 on the math section of the SAT in 2016, but he is the creator of the top selling SAT Math Video Course on Udemy, Power 800 SAT Math. 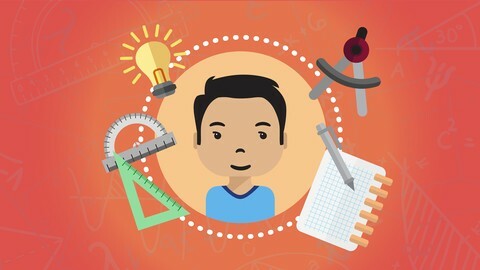 The video course contains over 700 custom designed SAT math questions, presented by frequency, which means that you will tackle the most prevalent topics first. Huzefa has also produced hundreds of hours of SAT walkthrough material on the Scalar Learning YouTube Channel. He has parsed and explained every single math topic from the Khan Academy website as well as provided real-time test walkthroughs for each of the 8 SATs posted on the Khan Academy website. His videos have garnered hundreds of thousands of views over the last two years, and his online audience relies on his weekly videos to explain the nuances of the math portion of the SAT. If you are interested in one-on-one tutoring, Scalar Learning’s army of tutors has an abundance of mastery for the SAT. Our team knows how to both build a bond and connection with students while providing unparalleled educational services. We know the material, the strategies, and the mindsets necessary to succeed. For more information on tutoring, click here.